The pace and extent of change today are more dramatic than ever before, and this has caused remarkable paradigm shifts in business. In just the last decade, we have seen disruptors like Dropbox, Uber and AirBnB emerge and become market leaders, while famous brands like Blockbuster, HMV and Kodak have fallen, as they failed to keep up with the pace of change. Today, the notion of a stable business environment is a myth. Where companies used to have time to find a competitive advantage and protect it through good management, they now have to be managed to consistently move from one competitive advantage to another. Good strategy today means exploiting current strategies, while exploring new ones, and now a new book, The Lean Product Lifecyle reveals how – providing a framework for adaptive management, ensuring you ask the right questions to learn fast and develop the right product, at the right time. 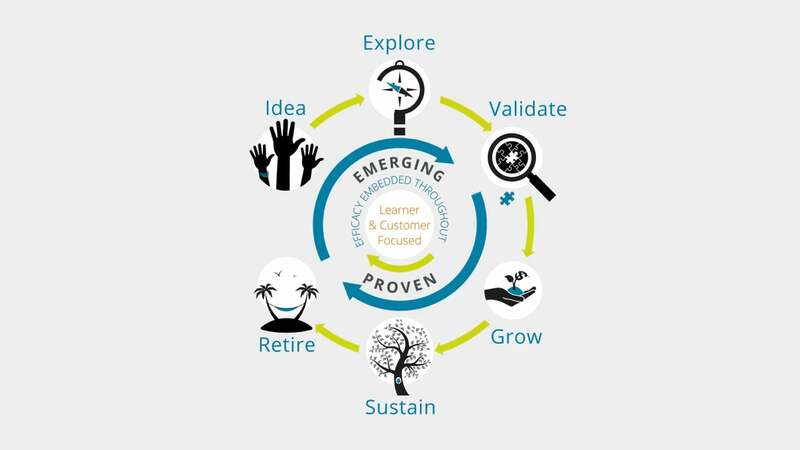 The Lean Product Lifecycle is a framework developed in response to a challenge from FTSE 100 global education company, Pearson, to lead their digital transformation based upon design thinking, lean and agile methodologies. The framework has since been successfully applied across multiple organisations and industries, and now three of the five founding members of “Lean PLC”, Tendayi Viki, Craig Strong and Sonja Kresojevic, share their practical insights in this book. Idea: Use customer and market insights from a wide range of inputs to generate strategically aligned ideas. Select which ones to work with to help you potentially deliver new innovations or products, and/or grow into new markets. Explore: Explore the problem and opportunity in the customer domain. Learn how much potential the ideas have to serve real customer needs, the size of the opportunity and jobs that need to be done. Validate: Use insights to start with a minimum lovable product, and iteratively develop a product that delivers value to customers. Test business model including pricing, costs, channels and state to prove product/market fit. Grow: Once you have a validated business model, the focus shifts to growing customer numbers, revenues and profits. Sustain: As products reach maturity and markets get saturated, focus shifts to optimising operations to reduce costs. This helps sustain profits to reinvest in ideas and innovation. Retire: Identify which products are now less viable than other opportunities, and work to recycle insights and extract residual value which could support other innovations. 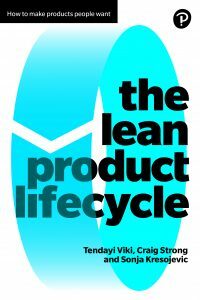 The Lean Product Lifecycle provides insights and practical tools for anyone interested in product development – product managers, entrepreneurs, innovators working within established companies and business leaders looking to spark innovation within their organisation. It also offers invaluable advice on the agility, budgeting and governance required to successfully innovate during and beyond any digital transformation. The three authors developed The Lean Product Lifecycle as a framework to lead the digital transformation of FTSE 100 global education company, Pearson, using design thinking, lean and agile methodologies. The framework won awards and has since been successfully applied across multiple organisations and industries, and this book shares the insights into how others can innovate and stay ahead in uncertain times. Dr. Tendayi Viki is managing partner at strategy and innovation consultancy, Benneli Jacobs. He holds a PhD in Psychology and an MBA; and is an award-winning author of “The Corporate Startup”. He has worked as a consultant for several companies including Pearson, Standard Bank, Egmont, The British Museum, The World Bank, General Electric, and Whirlpool. Craig Strong is an experienced Chief Technology & Product Officer, specialising in growth and innovation. Passionately utilising Agile and Lean principles to help companies innovate and grow, he has worked and consulted for companies including Sky, NowTV.com, Hargreaves Lansdown, Pearson, Financial Times, InsightSoftware.com, Tracesmart and others. Sonja Kresojevic has 20 years’ experience transforming businesses by focusing on growth, product innovation, cultural change and digital transformation. She is a co-founder of the NY based consultancy, Spinnaker Consulting, has worked with clients including Pearson, BBC, News Corp and Santander, and speaks on the topics of transformation, business agility, leadership and innovation strategy.